Give to the Max Day is Tuesday, November 16! 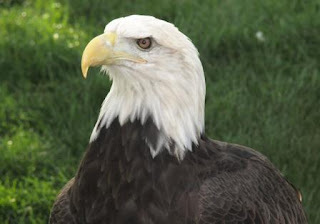 Please join the supporters of The Raptor Center and help keep eagles like Max soaring! Provide care and treatment for nearly 700 sick and/or injured raptors. Fund raptor education programs for more than 200,000 children and adults. Provide specialized training in raptor medicine, surgery and rehabilitation for veterinarians from around the world. More than 60% of our funding comes from individuals like you! Please join in supporting The Raptor Center. As an extra incentive, each hour during “Give to the Max” on Tuesday, November 16 one donor who's gift was given through the GiveMN site will be randomly chosen to have $1,000 added to their gift!